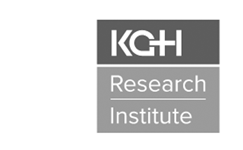 The KGH Research Institute (KGHRI) is dedicated to building innovative partnerships and pursuing excellence in patient-oriented research through a collaborative approach that leverages the combined strengths of all partners in translating knowledge into effective therapies, treatments and best practices. 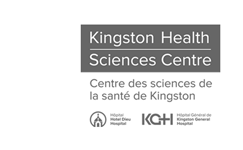 Hotel Dieu Hospital (HDH) and Kingston General Hospital (KGH) are joining forces to operate as one organization on two sites. HDH will continue to provide specialized outpatient care while KGH will provide complex and specialized inpatient care and cancer care. The new academic health sciences centre will have a single Board of Directors, Chief Executive Officer, executive team and budget. At the same time, the integration of the two hospitals will respect the mission, values and culture of each site. HDH will retain its Catholic identity and mission and KGH will remain a secular site. Discovery is a key part of Providence Care’s Vision, to lead the way in compassion and discovery. As part of that commitment, Providence Care is proud to support and foster opportunities for teaching and research in a wide range of settings. In our role as an academic health care organization, Providence Care is committed to creating, sharing and applying knowledge, and training the next generation of health care professionals.